Ironhide Game Studio is probably best known for its highly lauded Kingdom Rush tower defense game. It was initially released on the web in 2011 as a Flash game, but after it made its way to iOS and subsequently won a ton of awards, it must have been apparent to the devs from that point forward that mobile was the way to go. 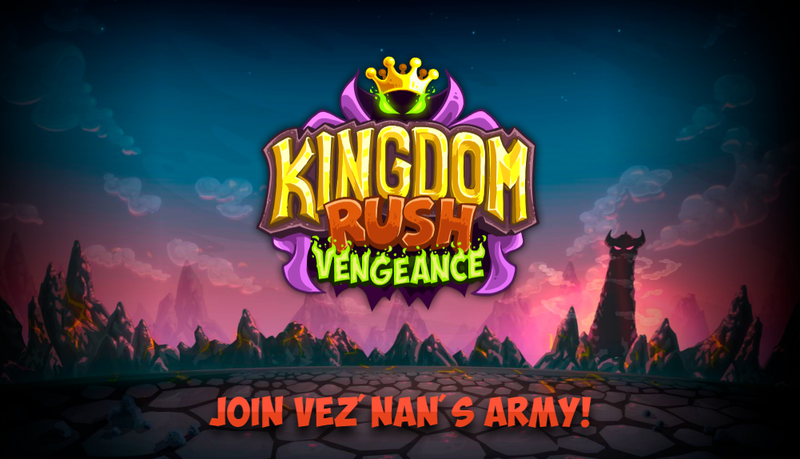 Since the release of the Kingdom Rush on Android in 2013, we have received two more entries in the series. Kingdom Rush Frontiers in 2013, and Kingdom Rush Origins in 2014. It has been four years since the release of Origins, so we are definitely overdue for a new title in the series. Yesterday a teaser trailer for Kingdom Rush Vengeance was published on YouTube. If you check out the trailer linked above, you can clearly see that there is very little info to go on. We could have used more trailer in this "teaser trailer," but alas the teaser part must have won out. At the very least we can see that a few different regions are hinted at, such as a peaceful kingdom, a snowy port, a lava and loot-filled dungeon, and some type of creepy kingdom with zombies. Past a few small glimpses, all we really know is Kingdom Rush Vengeance should be "coming soon." Generally, tower defense games work well on mobile thanks to their simple tap controls and mechanics, which is probably why so many of them exist on our platform. While we have plenty of reliable options to choose from, it's still nice to see a bit of a revival for an older series that many have probably forgotten. Honestly, I'm not sure the tower defense genre would be as popular on mobile as it currently is without games like Kingdom Rush blazing a path many years ago. So now that Kingdom Rush Vengeance is officially announced, the waiting begins. Oh, and if you are impatient like me, feel free to check out the official webpage linked below so you can subscribe to updates about further development.